Ippen (一遍上人), a.k.a. Zuien, (1234 — 1289) was a Japanese Buddhist itinerant preacher (hijiri) who founded the Ji (時宗 time sect) branch of Pure Land Buddhism. Ippen came from Iyo (伊予) province, (modern Ehime prefecture, in Shikoku (四国) and was originally called Chishin (智真). He first studied Tendai (天台) Buddhism on Mt. Hiei (比叡), Kyoto, and then Pure Land (Jodo 浄土) Buddhism at Dazaifu (太宰府), Kyushuu. During a pilgrimage to Kumano (熊野), the kami deity enshrined there revealed to Ippen that enlightenment was determined by Amida Buddha (阿弥陀) and that Ippen should devote himself to preaching the importance of reciting the name of Amida, nembutsu (念仏). Ippen and a band of followers then travelled throughout the country proselytizing with their ecstatic nembutsu dance (nembutsu odori 念仏踊り), and won a wide following among common people. Other practices associated with the Ji-shu include scheduled sessions of chanting (hence the name time-sect), the handing out of slips of paper with the nembutsu written on them, and keeping a register of the converted. Ippen’s insistence on constant travelling and giving up of family and possessions led to his nicknames: «Traveling Saint» (Yugyou Shounin 遊行上人) and «Holy Man of Renunciation» (Sute hijiri 捨聖). 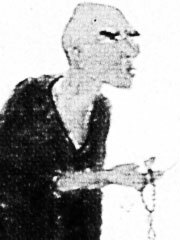 Ippen’s doctrine was primarily influenced by Shoko, founder of the Seizan branch of the Jodo Shu, who «insisted that the various Buddhist practices contain no more than a portion of the merit of the single practice of the nembutsu and serve merely to lead people to recite the nembutsu.» However he was also strongly influenced by the non-dualism of Zen and even received inka (a seal of recognition) as a Zen Master from Roshi Kakushin. However, whether or not Stewart’s argument contains soteriological or practical truth, he overlooks the fact that Rennyo introduced the same Seizan doctrine of ki ho ittai (the unity of the individual and buddha) into the Jodo Shinshu after reading the (probably Seizan) text known as the Anjin Ketsujo Sho. Before his death Ippen burnt all his writings, saying that «they have all become namuamidabutsu (devotion to Amida Buddha)», but copies were kept by some of his disciples. An English translation of his writings is No Abode: The Record of Ippen by Dennis Hirota (University of Hawaii Press / Ryukoku-Ibs Studies). After Ippen’s death many of his disciples appear to have committed suicide, throwing themselves into the sea in the hope of being born in the Pure Land. Such phenomena perhaps help to explain the limited spread of the Ji-shu, and certainly the ecstatic fervor of the early Ji-shu seems to have mitigated against mainstream acceptance. Ippen himself was greatly devoted to paintings of Shan-tao’s allegory of the White Path, so it is appropriate that his life led to the production of a great many portraits, sculpted images, and illustrated narrative scrolls (emaki 絵巻). The Ippen Hijiri-e (一遍聖絵) was edited by Ippen’s disciple Shoukai (聖戒) and, according to an inscription dated 1299, was painted by the artist En’i (円伊) (Kankikouji 歓喜光寺, Kyoto, and Tokto National Museum). The twelve handscrolls on silk show Ippen’s trip around Japan, and are well-known for their naturalistic depiction of «famous places» (see meisho-e 名所絵), including Mt. Fuji (富士), Kumano, Shitennouji (四天王寺), Zenkouji (善光寺), Enoshima (江ノ島), Yoshino (吉野), Itsukushima (厳島), and Naruto (鳴門). The treatment of space shows the influence of Chinese Song and Yuan period landscape painting (see sougenga (宋元画). A second type of biographical handscroll «Ippen Shounin Engi-e» 一遍上人縁起絵), edited by Ippen’s other disciple, Soushun (宗俊), was painted sometime between 1304 and 1307. The original scrolls no longer exist but were copied in many other versions including those at Shinkouji (真光寺), Hyougo prefecture. These versions are characterized by the addition of the biography of Ippen’s most important disciple Taa (他阿) (1237-1319). In the Shinkouji version, the first four scrolls depict Ippen’s life, while the last six concern the life of Taa and the spread of Ji Sect teaching. Kinrenji (金蓮寺) in Kyoto has a Muromachi copy of the now-lost work dated 1307.